The Bible speaks about faith and greater faith. Quoting Jesus, It says, “… if you have faith as a mustard seed, you will say to this mountain, ‘Move from here to there’, and it will move, and nothing will be impossible for you.” (Matthew 17:20) This faith is not the realm of the ordinary, though it is not reserved exclusively for the explicitly ecclesiastical ones. Interestingly, at times one could see absolute, unqualified faith mushrooming in unexpected quarters. Read on for such a powerful instance as chronicled by John Eversole, Santa Barbara, Calif., U.S.A., published in Sanathana Sarathi, April 1978. A friend with whom I work has listened to my endless tales of Sathya Sai Baba‘s miracles and power, with doubt and teasing. 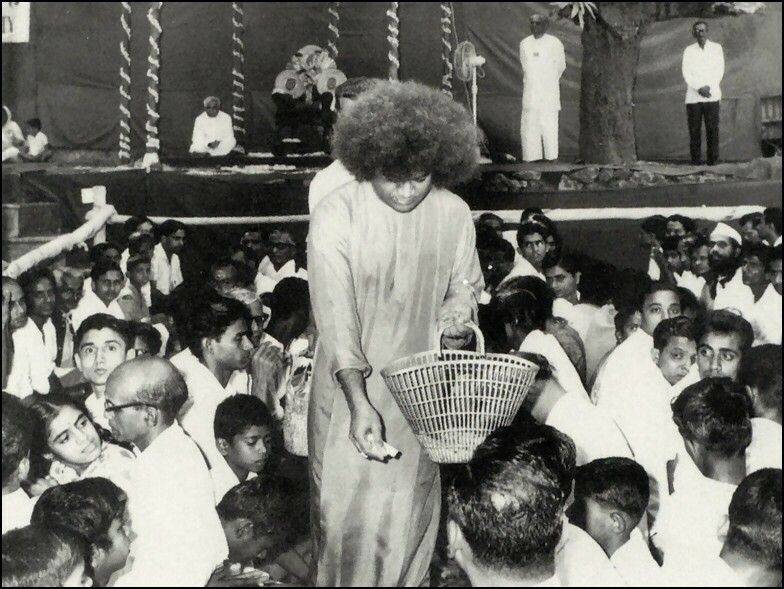 But, he did not scoff or deny and even asked me for some of Bhagawan’s Vibhuti, when his mother was ill. His name is Tony De Paco, and his mother recovered at the time, but, made her transition, a year later. One night, Tony asked me if I would drive him to where his auto had stalled. The starter was quite active, but, the motor was not responsive. I suggested we sprinkle some Vibhuti on the motor. Tony said that the electricity or the petrol was not reaching the motor, and, he would just leave it, until he could return and fix it. But, I prevailed and Tony allowed me to place Vibhuti on the motor, before he tried again to start the obstinate auto which was vary old and worn. The motor started, much to our delight, and Tony started the many miles home, while I followed, in my car. We finally arrived where I should turn to go to my home, and Tony wanted me to turn off and he would continue the two miles further, to his residence. Filed under: Baba, Bhagavan, Bhagwan, John Eversole, Petrol, Sai, Sanathana Sarathi, Swami, Tony De Paco, Ye Of Little Faith | Tagged: Auto, Bible, Doubt, Doubting Thomas, Ecclesiastical, Faith, Jesus, Matthew, miracles, Sacred Ash, Sai Baba, sathya sai baba, Vibuthi, Wonders |	Comments Off on Oh Ye Of Little Faith!